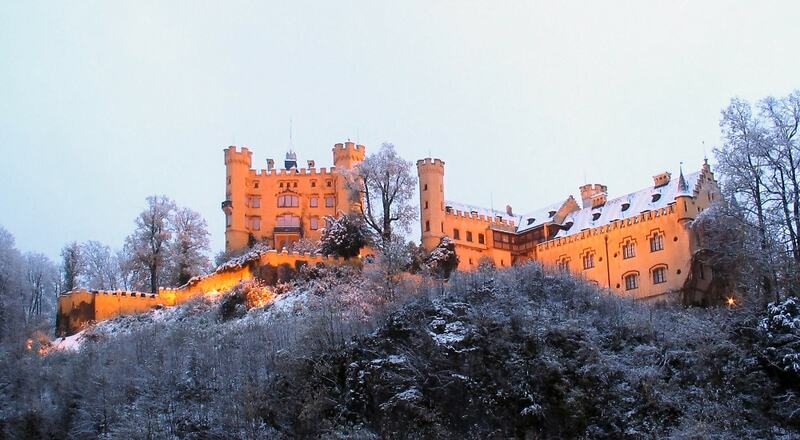 Hohenschwangau Castle is a 19th-century palace in southern Germany, very close to the border with Austria. It was the childhood residence of King Ludwig II of Bavaria and was built by his father, King Maximilian II of Bavaria. More than 300,000 visitors from all over the world visit the palace each year.